This pewter Irish blessing plaque has the look of slate. 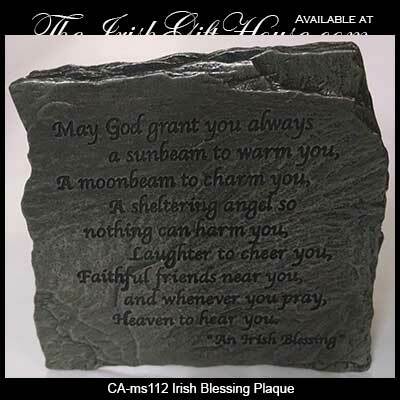 This Irish blessing plaque is made of lead free pewter but it looks like engraved slate. The pewter Irish blessing plaque measures 3 1/2" wide x 3 1/4" tall and may hang or stand with the included easel. The Irish plaque is gift boxed, complements of The Irish Gift House.